Great collection of auto loaders. Great blue and cheeks now those are fine examples of how things use to be made. 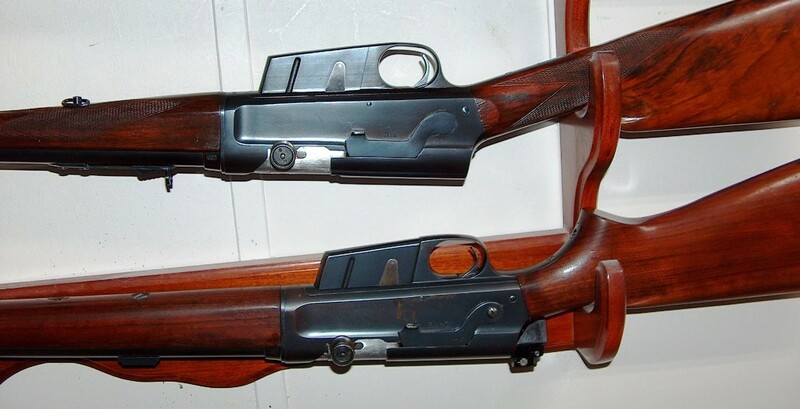 We had two other Model 81's. For some reason we kind of lost interest and I had listed them here: A Model 81 in .35 Rem. that was pretty nice, and a Model 81 .300 Savage that had the wood checkered. The WTS listing didn't seem to generate a lot if interest so we decided to keep them, but then out of the blue I received an inquiry on the .35. Well we have the 8-C in .35 so my brother decided to sell it. Then we showed our friend that we shoot with the .300 and he now has that one. Now I wish we had kept the 81 in .35. I browse eBay looking for gun parts, not just for these rifles but 1911, Colt parts etc. So one day a complete .32 Remington barrel assembly is listed for a real friendly BIN price, so I snagged it. So I figured I'd look for a .30 Rem. but decided on a .25, and found one. Oh boy I thought a combo barrel set, which turned out to be more of a hassle then anticipated at the range. 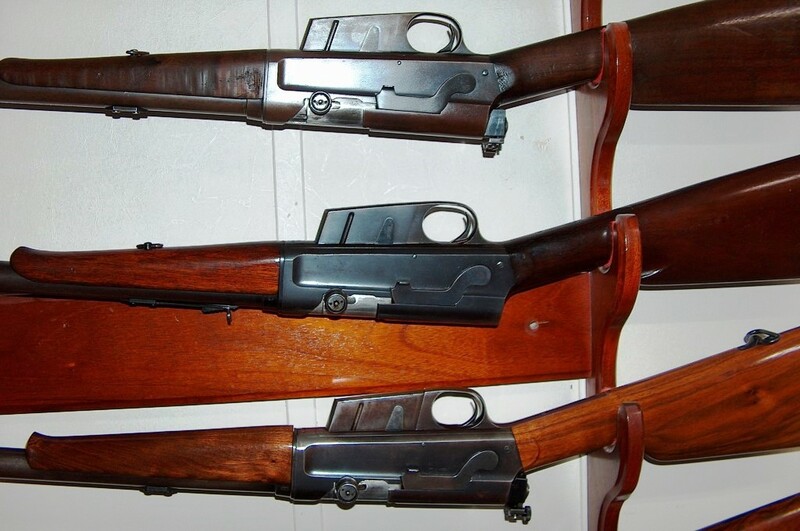 Bullet selection for the 32 is dismal to say the least and we have a Winchester 94 .32 Special, so after exchanging messages with another eBay member who was looking for a .30 Remington barrel I offered him my .32 barrel assembly and dies, which he bought. Then I see the listing for the M 8 .30 Remington with the replacement wood and it had the Redfield receiver sight, and because I had put a Redfield on the .25 I just had to have it. The 8-C was our Father's and has been in the family since we were small. 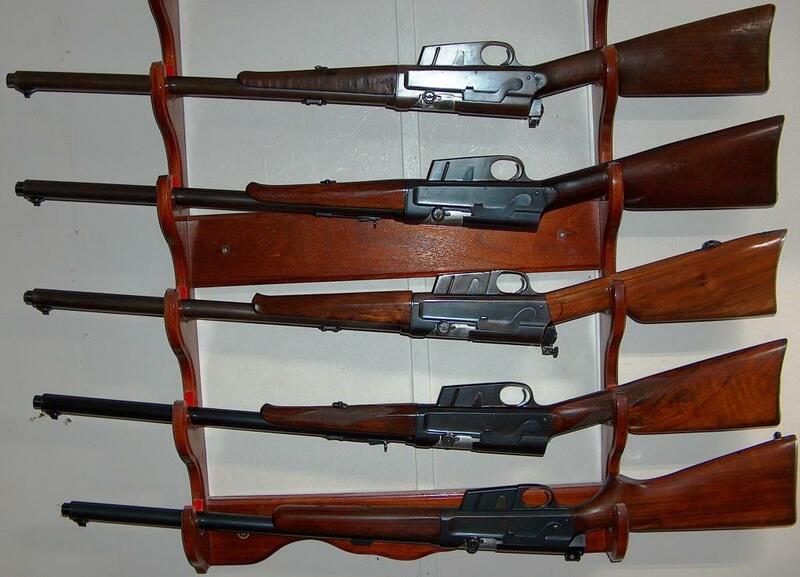 The 81 in the photo we found at a gun show on our way out the door, and the price was okay, so we brought in home. Your collection is basically what I’m going for, have the 25 & 35 now. I’m on the hunt for a Model 8 in 30 & 32 rem and a 81 in 300 sav.